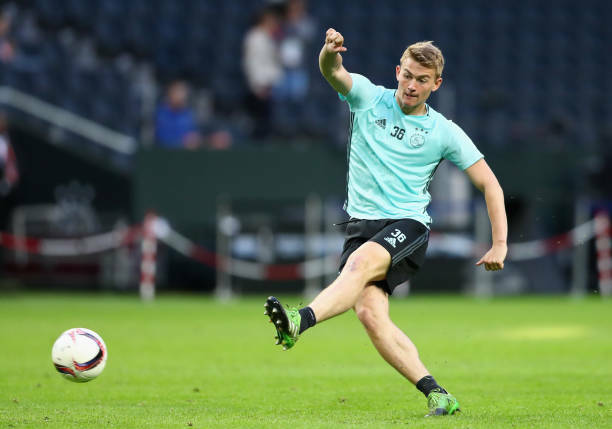 Update On Manchester United’s Chase For This Defender: What Now For The Red Devils? This recent development will be a massive blow for Ed Woodward’s chances of landing the player in the summer. It seems like the Red Devils will need to concentrate on their other transfer targets and forget about Škriniar for the time being. The Serie A defensive ace has been a commanding presence at the back for Luciano Spalletti’s team, and his incredible defensive contributions have helped the club climb to the third spot of the league table. Since his arrival from Sampdoria in the summer of 2017, the Slovakian has gradually managed to establish himself as a regular starter in the Inter Milan first-team. The 24-year-old has featured in 31 matches for Inter this term across all competitions. He has made two tackles and 0.9 interceptions per game (Stats taken from Whoscored.com) in the Serie A this season which is quite impressive for an up-and-coming centre-back. Hence, it is no surprise that he wants to commit his long-term future to the San Siro-based club as he is clearly enjoying his football at the moment. The Inter centre-half reads the game well and is a very accomplished defender at the back. He can make timely interceptions and is not afraid to make tackles when the game is on the line. He is also a dominant presence in the air which makes missing out on his services a bitter pill to swallow for Ed Woodward. 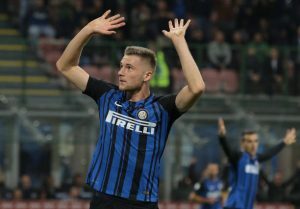 Škriniar’s potential acquisition would have undoubtedly bolstered Man United’s defensive options at Old Trafford. The Red Devils have currently got the likes of Phil Jones, Chris Smalling, Eric Bailly, Victor Lindelof and Marcos Rojo who are all vying for a place in Ole Gunnar Solskjær’s first-team. However, the Slovakian defender would have been an upgrade over any of them. There is no doubt that it will be a big blow for the Red Devils. However, it would also be interesting to see which other players they decide to go for in the summer transfer period. Everton Favourites To Sign This Newcastle United Transfer Target: What Should Rafa Do Here? Inter Milan To Offer Player Plus Cash Deal To Land Tottenham Hotspur Belgian Ace: Should Spurs Comply? David Moyes Hints At First January Signing For West Ham United: What Will He Bring To The Squad?